The horizontally installed, compact container pump MINIFLUX is designed for emptying IBCs via their floor-level outlet. Designed as an alternative to a vertical pump, the MINIFLUX can be used when an IBC is not accessible from the top. 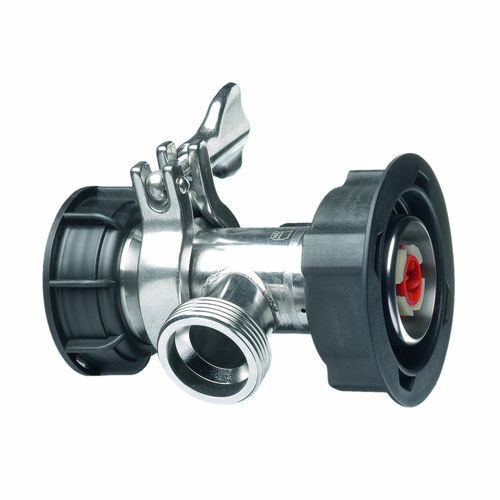 It is suitable for applications when gravity draining via the outlet tap is insufficient e.g. rapid dispensing or transfer to another container in a higher location. Power can ideally be provided by a commutator or compressed air motor.